onflict is always awkward. Have you ever found yourself in the middle of a conflict between two other people? These situations are always awkward, especially when everyone is friends, and deep relationships are at stake. 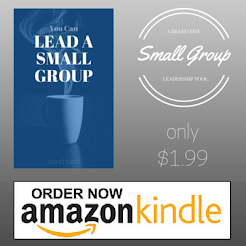 Most small group leaders will face this dilemma at some point in their ministry. What will you do? 2 Samuel tells an interesting story from the life of David that provides us with three great principles to remember when you find yourself trying to help resolve conflict. David and his followers are on the run from Jerusalem. His son, Absalom, has led a rebellion and seized control of the capitol city. As they leave, they are approached by a man named Ziba who brings them many gifts of food, drinks, and animals. David knew that Ziba was the servant of Mephibosheth (a crippled descendant of Saul to whom David had shown great kindness). David asked Ziba where Mephibosheth was, and Ziba answered that his master had stayed in Jerusalem to welcome Absalom. After the rebellion was squelched, David returned to Jerusalem and began to deal with all those who had been loyal to Absalom. Mephibosheth came to greet him, claiming that he had wanted to go with David, but Ziba had not assisted him (he couldn’t leave on his own because he was lame). Mephibosheth claimed that Ziba had seized the opportunity to ovethrow his master and ingratiate himself with David. Faced with two completely opposite stories, David makes a wise decision (the outcome of which ultimately demonstrates Mephibosheth’s loyalty). Read the whole story in 2 Samuel 16 and 2 Samuel 19. 1. The first story you hear is almost never completely right. 3. Beware of the one who quickly slanders others. Ziba sought to gain David’s favor by tearing down Mephibosheth. In any conflict, it is very easy to be distracted by “ad hominem” attacks rather than dealing with the actual issues. It is easier to simply say bad things about another person and call their character into question, rather than try to determine the truth behind specific events that have happened. A few years ago a group of people in our church became very irate with some of my co-workers. I spent hundreds of hours sitting down with many of them to try to resolve the conflict. In the end, though, it was fruitless because we could never consistently identify exactly what was causing the problem. Sadly, all I ever heard was attacks against the character of other people. Remember David, Ziba, and Mephibosheth.